A new international study has attempted for the first time to understand changing patterns of industrial pollution across the North American continent. The report from the Commission on Environmental Co-operation, the environmental watchdog created by the North American Free Trade Agreement, analyzed data from more than 35,000 industrial facilities in Canada, the U.S. and Mexico between 2005 and 2010. The report sheds new light on the significance of sectors such as Canada's oilsands and points to the results of tighter environmental regulations and greater public awareness of the issue. But project manager Orlando Cabrera says the biggest message may be how much work has to be done before consistent, comprehensive comparisons can be made between the countries. "We need to improve our accounting of releases of pollutants," he said. "We are doing that, but more needs to be done." The study recorded all reported pollutant releases, whether they went into air, water, landfills, recycling sites or disposal facilities. Those reports show such releases increased 14 per cent over the study's six-year span. It suggests the biggest reason for the increase was a Canadian regulatory change that required companies to report releases of polycyclic aromatic hydrocarbons and compounds containing sulphur. Those chemicals are associated with energy production and metals mining and were largely responsible for more than doubling the amount of reported pollutants released to land, which includes tailings ponds. "That explains quite a bit of the jump, because a lot of that is related to oil and gas extraction," says Danielle Vallee, who also worked on the study. The results also suggest government regulation and changing public attitudes are resulting in reduced pollutant releases. 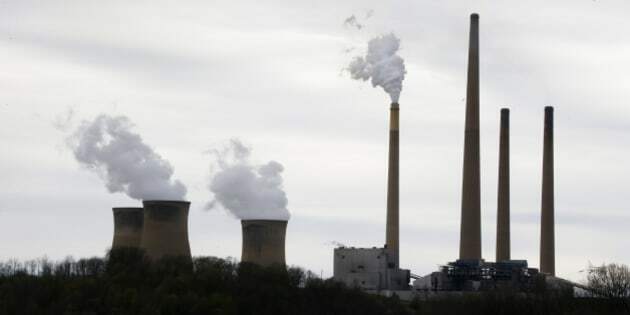 They say tougher rules for fossil fuel-powered electricity generation in the United States were a main reason why reported releases to air decreased by 36 per cent. The report also says public reporting of pollutant releases is creating public pressure for companies to cut them. "Customer demand plays a role in their environmental management decisions, such as the choice of chemicals used at their facilities," says the report. "This suggests that (pollutant release) data have wider impacts." The report is limited by wide differences in reporting practices among the three countries. The U.S., for example, requires data on almost twice as many chemicals as Canada. But it exempts sectors such as the energy industry and publicly owned power companies from reporting anything at all. Mexico's list includes fewer chemicals and fewer sectors than Canada. Still, says Cabrera, it's a start. "Pollution can be reduced and you can still stay in business. It actually helps the bottom line in many sectors."